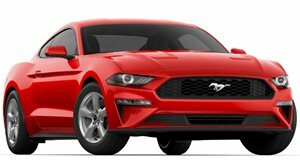 Ford has prohibited modifications on its new 2011 Mustang. Any type of modification(s) done by owners will automatically void the warranty. The automaker has instructed their dealership mechanics to check cars thoroughly before initiating repairs. Ford is treating their new 2011 Mustangs like how an irresponsible parent treats their kids. It&apos;s like giving four boys a new football and a few Red Bulls and then telling them not to play with it in the house while you leave for the day. Like I wasn&apos;t supposed to tell my brother to go over the middle and not hit the glass coffee table… The same theory applies to the 2011 Ford Mustang. Ford says, if you tune your Mustang, your warranty is toast. Three technical service bulletins have already been issued on the 2011 Mustang. Issues with the clutch, fuel pump and cold shifting have prompted Ford to take further action, saying "some 2011 F-150 and 2011-2012 Mustang vehicles equipped with the 5.0L engine may have unauthorized modifications to the powertrain hardware and/or calibration which may result in exceeding component design limits. Such modifications could cause damage to the powertrain and/or void the factory powertrain warranty." In addition, Ford says that "attempting to increase the engine output via recalibrating the PCM may result in poor drivability, DTCs, or component failures." To say modifications have played a large part in Ford&apos;s history would be an understatement, for without them there would be no Shelby. A flow chart has been issued to all Ford technicians on what to look out for in terms of voiding the warranty. These aftermarket modifications include anything that could alter the fuel and spark settings, exhausts, superchargers, nitrous systems, and intakes. MustangsDaily reports Ford technicians have been advised to go so far as to look for excessive cylinder pressure and temperature (piston damage, spark over-advanced, insufficient enrichment and catalyst damage). They should also check for increased RPM limit (piston damage, connecting rod damage, oil pump damage, catalyst damage and clutch damage), and knock sensor calibration changes (piston and/or ring damage due to improper knock control). The only other car we could think of that had similar warranty warnings and survived serious modding was the Nissan GT-R. Treading with caution is the best way to go for new Mustang owners, however is it really fair to create a car begging to be customized and not permitting it?